Produced For – Can't Stop Productions, Inc. 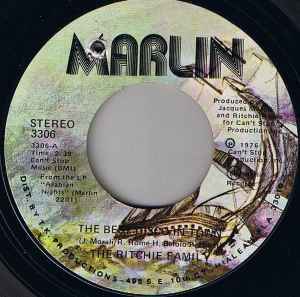 There are two versions of this release in the database with different labels here: The Ritchie Family - The Best Disco In Town, and here: The Ritchie Family - The Best Disco In Town. Diognes_The_Fox, SampleKween, lenny2571, mgmp, drno718, KCJammer, DiscogsUpdateBot, thediscopalace, DAVE-I.D.